On July 18, 2017 I asked the Fangirls Going Rogue Facebook chat if I should I read Bloodline or Rebel Rising as my first Star Wars book. 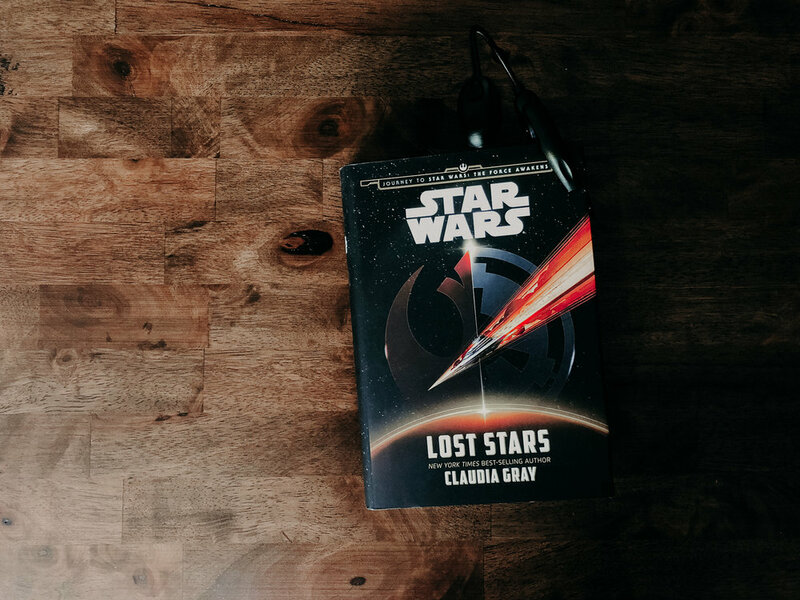 I was, overwhelmingly, told to read Lost Stars by Claudia Gray. I was hooked after reading the summary on the back page. I remember thinking that it was (and honestly it still is) the best book ever. Romance. Action. Star Wars. How could you not love these things? But as I read, this story captured my heart for another reason entirely. That reason was Ciena Ree. You probably saw my name on this article. Regina, or Gina, Sanders. But you may not know what I look like. I am Black/African American. I do not know who began the hashtag SWRepMatters, but I wish I did so I could shake their hand. It’s extremely important for me to see myself in what I love. It helps me believe that I am accepted in a space when so many times I’ve been told that I wasn’t welcomed. Here I was, reading a story just for Star Wars and friendship and I met a brown, female main character. Finally, someone who looked like me. But the similarities didn’t stop there. The first job I ever wanted was to be an astronaut. I wanted to fly among the stars and so did Ciena. It may sound silly, but reading about Ciena flying in the sky brought me back to being little- wanting to be Mae Jemison. So, with this knowledge in mind and a smile on my face I continued to read Claudia Gray’s incredible story. And as I continued to read, I found more of myself. Arguably, Luke and Leia are the most famous twins in the galaxy. When I first fell in love with Star Wars their sibling bond was especially important to me because I’m a twin too. My sister and I are fraternal and I’m younger by six minutes. In what seems like a rarity in real life, twins are front and center of my favorite universe. When I read about Wynnet I had to put my book down in awe. I was finding more and more ways that I was like Ciena. Loyalty and honor are important to Ciena and they’re important to me too. It’s a driving force for my favorite Star Wars character. When I fell in love with Star Wars, I fell in love with the First Order and the Empire. (I still hope to fly a TIE fighter one day.) Ciena gave her loyalty to this same side. But she also gave her loyalty to Thane. I loved her the most when she saw the destruction surrounding the Death Star and recognized that it was wrong. In the end, she always wanted to do the right thing. I am forever indebted to everyone who urged me to read Lost Stars, especially Sandra Choute, and I am forever indebted to Claudia Gray for writing this story. Even as I write this I’m emotional thinking about how much I see myself in/wish I could be Ciena. My friends, representation matters. Because I love Star Wars, and I always will, but I cannot tell you the utter joy I felt as I read Lost Stars and saw myself. So, thank you Claudia Gray. And thank you, Ciena Ree.